Except the renewed with brand new cars car fleet, Top Rent A Car continues its growth by opening new office locations. The company is making its best to reach more and more customers, and offer them highest quality rent a car services at very competitive prices. The new offices are located at key points next to the seaside and offer easy and fast access to the most preferred resorts in the country. One of the new locations of Top Rent A Car is convenient situated in the central part of Bourgas – the parking lot of Burgas Galeria Mall. The office is colorful, branded and has modern video wall and brand new cars parked in front of it. The location has easy and fast access by city bus or by walking. The big shopping center would help you to combine renting a car with shopping or getting some snack. You can easy find rental car in our office location Burgas Galleria Mall, or any of our other locations nearby. 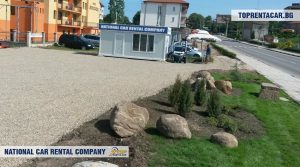 The new office where can be rented a car is located on the north entrance of the resort town Obzor – on the main road between Bourgas and Varna. The convenient location makes it perfect location for car hire from Obzor or some of all the resorts in the area. It is in the middle of the seaside, so you can easy visit the resorts on the north or south as well. Find you car hire deal in Obzor from Top Rent A Car. 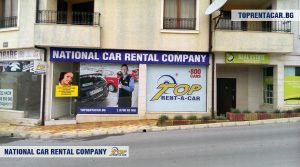 Regarding the growth interest for Balchik and the resorts in the region, Top Rent A Car opened new office – meeting point in the town. It is situated in very convenient location near many road units, and at the same time just a minutes away from the center of the town and all the sites in Balchik. The office will mainly operate during the high summer season and on advanced request. Find rental car in Balchik from Top Rent A Car.